Florence County, WI is located between Iron Mountain, MI and Eagle River on the northern eastern part of the state which borders the Upper Peninsula of Michigan. 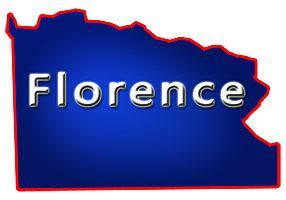 Florence is one of the least populated counties in the state with about 4,000 residents, It's known large amounts of public land, fishing, swimming, boating, hunting it also has Keyes Lake, Emily Lake, Florence County Fair Park plus a couple communities including; Florence, Commonwealth and Fence. It's surrounded by 2 other Counties; Forest and Marinette. On this page you will find Lakefront Properties, Riverfront, Private Ponds, Creek Frontage, Stream Frontage, Waterfront Cottages, Waterfront Lots and more located in this county listed by real estate agents. Florence County, Wisconsin GIS MAP Information!